Hello! 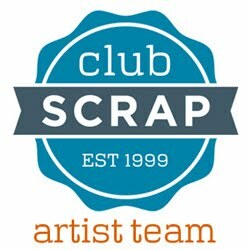 I'm so glad you're hopping along with us on our Club Scrap Artist Team Challenge Blog Hop! You should have just come from Hetty's blog. The challenge this month was to create frames with stamped images or stencils. I used this months collection Vintage Botany to make a set of cards and a vellum pouch to hold them! All the fibers and key charms are also from this collection. 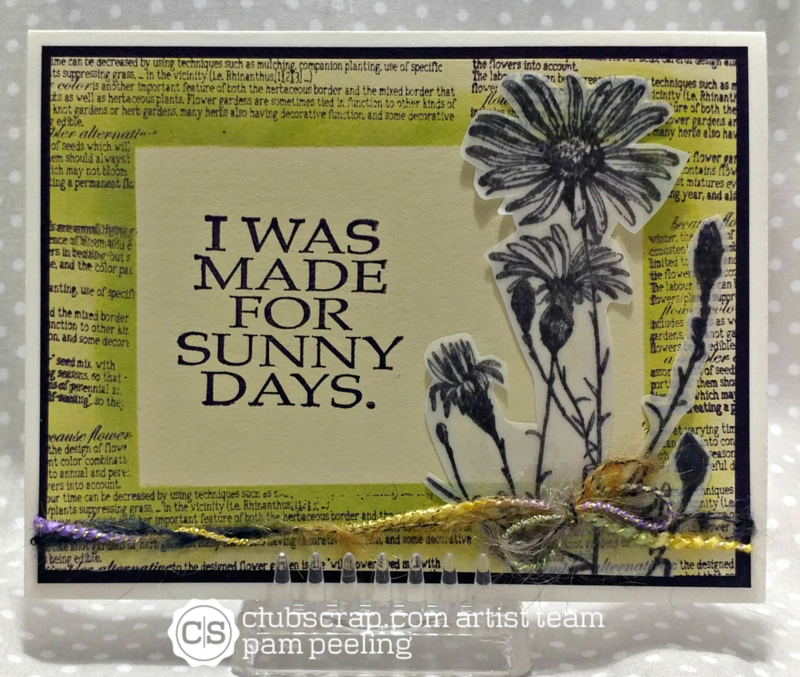 I'm loving the new Distress Oxide inks and this challenge was perfect for them! Masked the middle square with a piece of scrap card stock, then daubed green ink all around essentially making the frame. 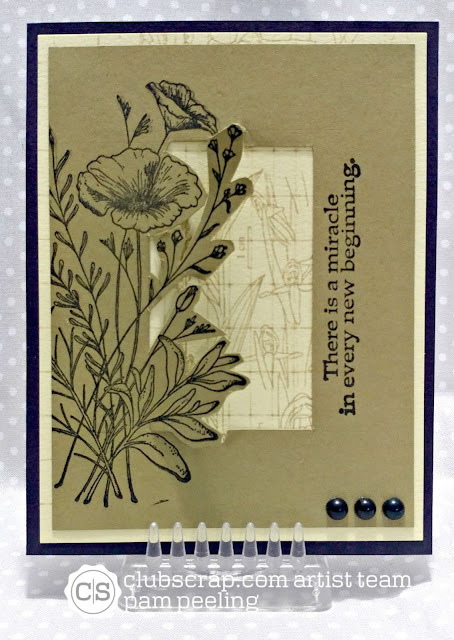 Then I layed down the Dandelion overlay stencil in the Vintage Botany collection and spritzed with water. 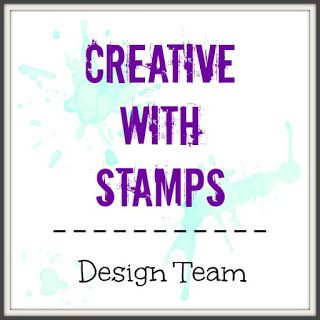 Then I stamped the images from the unmounted rubber stamps over that with black ink. I removed the center mask and stamped the sentiment. The enamel dots are from my stash. For this card I used basically the same technique just with a different color ink and stencil. Then I masked that and stamped the unmounted rubber stamped image in the middle. I took a black pen and drew the lines around the edges to make it stand out a little. Here I used just stamped images as the "frame." I fussy cut along one edge and used a stamped sentiment as the other frame border. Here I masked the center rectangle and stamped with the unmounted rubber stamped image. Then I daubed the green ink just on the inside edge of the frame for dimension. 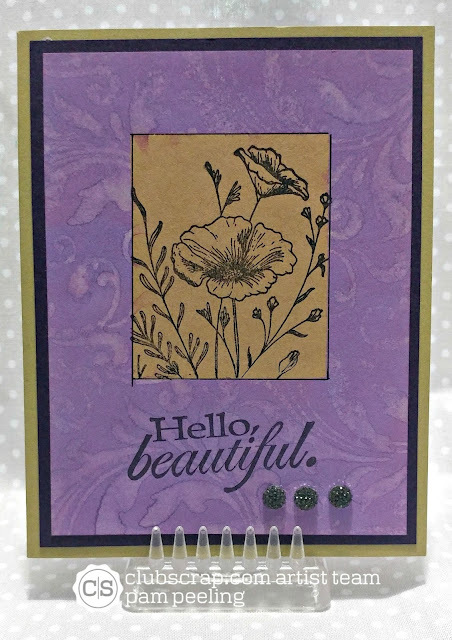 I stamped the flowers image on a piece of vellum and glued it on. I just didn't like the way it looked stamped on card stock. The translucent quality of the vellum was perfect! And that's when I got the idea for the vellum pouch to hold all the cards :) It was so easy to make. I stamped all the images on a 8 1/2" x 11" of vellum. Then I folded both ends of the long side to the middle and glued them together overlapping about 1/2" or so. Then I flattened it out with the seam in the middle. I folded up the bottom and glued that. I put the cards in, trimmed the top and folded it over. 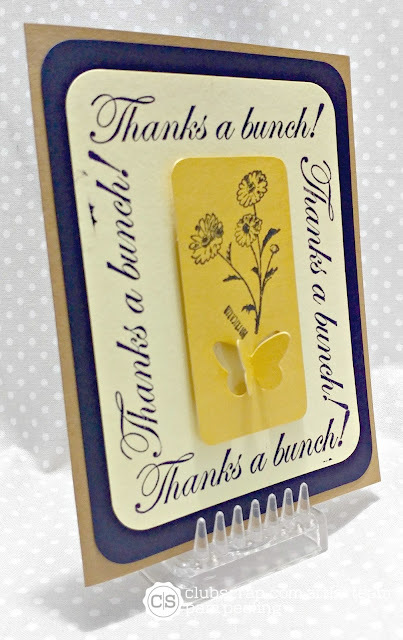 For this card I used the repeated sentiment as the frame. The yellow butterfly piece in the middle is a pop-up butterfly tag available with this collection that I cut the top off of. Then I stamped the image and used dimensional foam stickers to pop it off the card a bit. 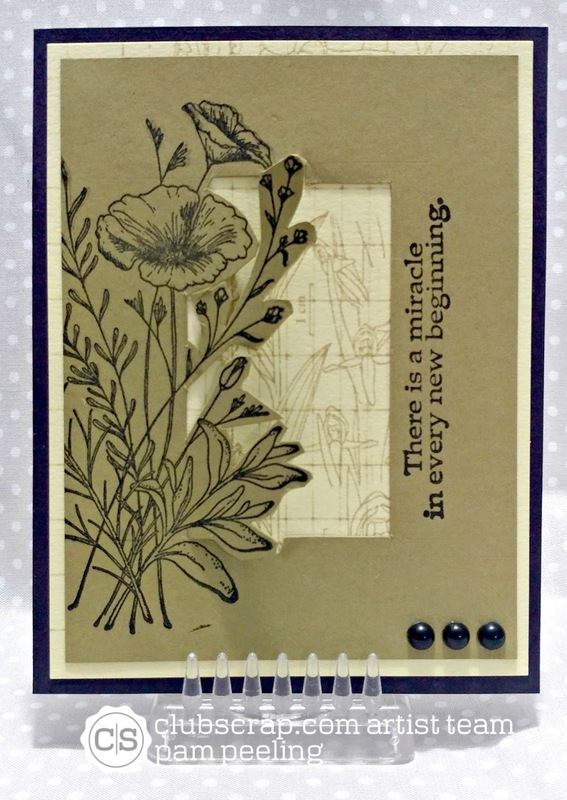 This was a fun challenge-I really enjoyed coming up with different ways to make stamped and stenciled frames. Next stop along the Hop is Roni! Head on over there to see how she interpreted this challenge! You have been busy as a bee, Pam and what great cards you have created. I love your cards, Pam! Thanks for the inspiration. Pam your cards and pouch are absolutely beautiful! Love them all! WOW! The distress oxide ink really gives good coverage! At first glance, it looked like the sentiments on your first two cards were stamped on card stock and layered on the background. The ghosting is fabulous! The masking on the Sunny Days card looks so dimensional. Well done with these techniques! 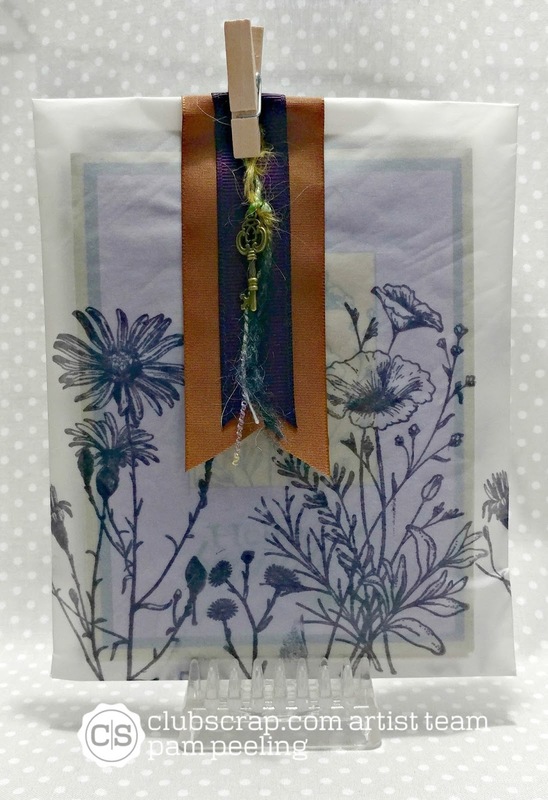 What a great set of "framed" cards...and the vellum pouch is an adorable way to gift them! Such pretty frames, great job Pam! Wow, all of the frames you made are great! Such a fun variety of looks. These are beautiful! Great that you experimented with different types of frames! I love how you literally thought outside the box (frame) with your cards. I'm constantly reminded that I am less creative than I think because of this very thing! You really rocked this challenge and have provided me with not only artistic insight, but also ideas to use in the future. Thanks! 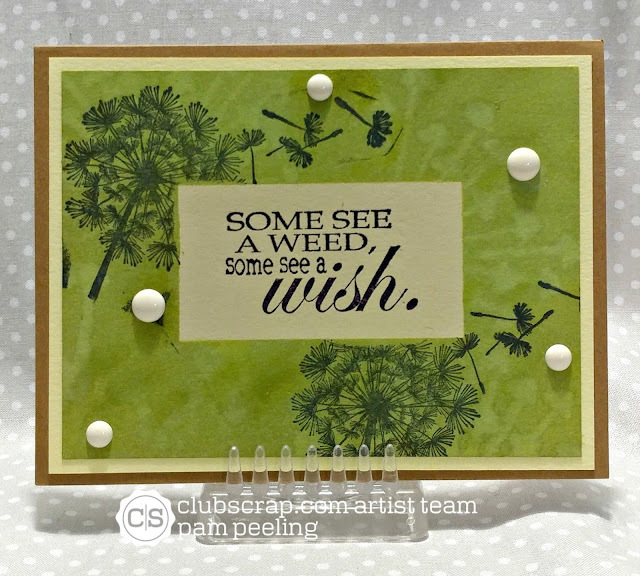 Pam your cards are so lovely, anyone lucky enough to receive one would consider themselves Blessed. Love love love the vellum bag! You did some serious framing and fussy cutting. But it was all worth it. Beautiful!